Some of you may know about Younique products already, and if you haven't, that's okay too! Bascially Younique is a makeup/skincare company that sells its products through consultants. It's the same idea as Avon. You purchase your products through these consultants, and they get a small commission on your purchase. It's a direct sales company. Anyway, I sell Scentsy and I was asked to do an order swap with a Younique consultant. I agreed at the time, because I needed a new night time cream. The colours together are pretty. But I thought the jar was made out of glass, like more higher end products. Actually, some drug store products even come in glass jars. However, this is a pricey $59 Canadian dollars, so for that price, I was expecting glass. That is high-end skincare prices. This looks and feels like your typical moisturizer. I don't know too much about ingredients (you can find them below) but I do like that there is squalane and hyaluronate in it. Both are moisturizing ingredients. Which I really need! Water/Aqua, Isododecane, Butylene Glycol, Caprylic/Capric/Myristic/Stearic Triglyceride, Octyl Palmitate, Beeswax,Glycerin, Adansonia Digitata Seed Oil, Octyldodecyl Stearoyl Stearate, Squalane, Aluminum Starch Octenylsuccinate, Polysilicone-11, Acetyl Hexapeptide-8, Cetyl Alcohol, Niacinamide, Acetyl Glucosamine, Whey Protein, Sodium Hyaluronate, Crocus Chrysanthus Bulb Extract, Plankton Extract, Hydroxypinacolone Retinoate, Arginine/Lysine Polypeptide, Acacia Senegal Gum, Dimethyl Isosorbide, Stearyl Alcohol, Glyceryl Stearate, PEG-100 Stearate, Sucrose Polystearate, Tromethamine, AmmoniumAcryloyldimethyltaurate/VP Copolymer, Polyacrylate-13, Polyisobutene,Polysorbate 20, Phenoxyethanol, Caprylyl Glycol, Citric Acid, Potassium Sorbate, Tocopheryl Acetate, Hexylene Glycol, Lecithin. 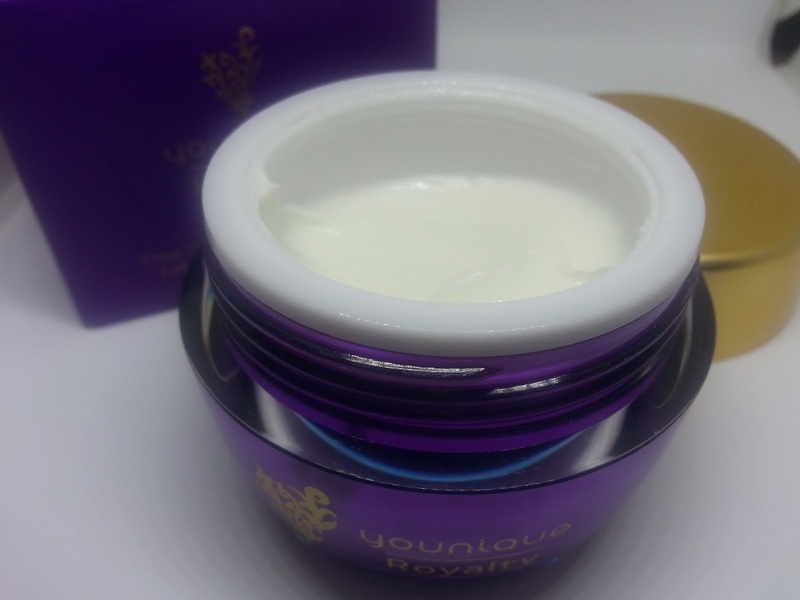 It comes out of the jar and looks very creamy, applied and rubbed in, it looks like just a typical moisturizer. This night cream has some big claims. Minimize the appearance of fine lines and wrinkles. Improve the appearance of your skins firmness while hydrating and moisturizing the skin. 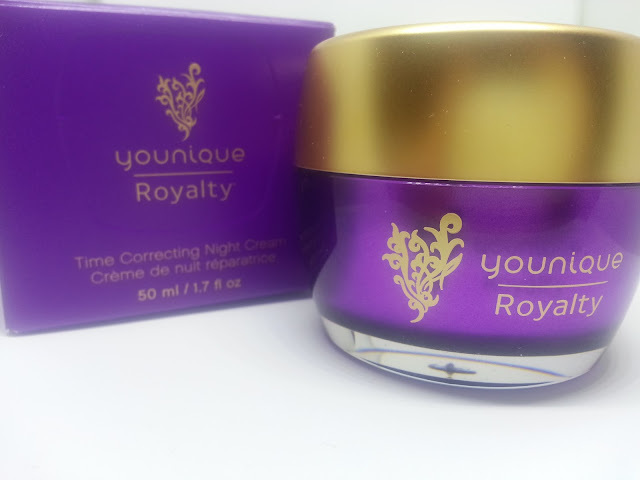 I've been using this night cream for a few months now, I really wanted to put it to the test, since those claims are so big. I have to say, it was a let down. Yes, it does moisturize, but that's as far as it goes. I don't have many lines or wrinkles, but the small ones I do have, it did nothing for. Firmness isn't really an issue either, but I can't say it made my skin more firm, and I didn't find this cream to be amazingly hydrating either. It reacts poorly with other skincare items, and quite frequently pilled when layering with serums. It also pilled if I tried to wear it under foundation, because there are days that you just want a more hydrating cream under your makeup. Overall, this is just an overpriced night cream. I'd recommend using a higher-end skincare brand if you're spending $60 on a face cream. Or find a hidden gem at the drug store, because that's the quality you're getting with this.